Love the colors in this set! What gorgeous rings too. Must go look for this. Love these colors! Great for Halloween! What a great set to have. Love these pics. Such cool rings, too. Black one is my fave! I hadn't seen these yet, love them!! I love the idea of mini nail polish I find that I have never been able to finish a bottle really anyways so why not have small travel size ones that is not too harsh on the pocket book but gives you so many options and colours! I love the hot pink nail lacquer! I want that ruby ring so bad! 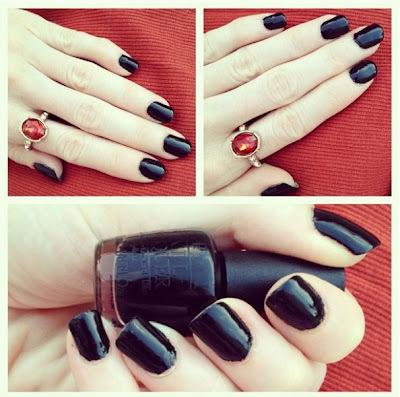 It's such a great accent with that black nail color. I always love how you coordinate your nails with your rings. Such a great detail! Yay for Halloween manicures! I am so excited for this Halloween season. I want to go ALL out. Oh these are fun, I want them all! My favorite is A-Rose from the Dead (and that awesome cutout heart ring), but all the colors look great for a Halloween set. Oh fun! Love all of the colors! Especially the pink! 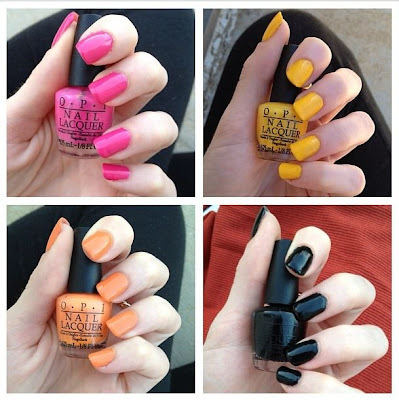 This nail polish collection looks great! The black colour looks so good. I love the colors in this set and the black and orange would be great on one hand. saw these at ulta the other day and so wanted them - love. I love the names and a rose from the dead and mourning glory - they colors look rich and lovely! adorable packaging! 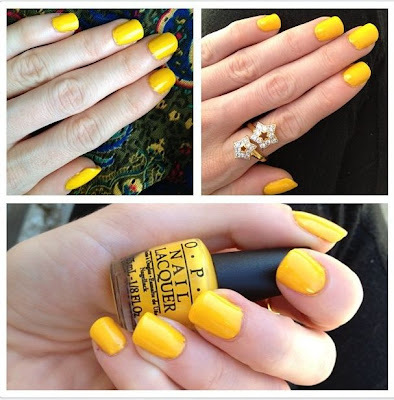 I like the yellow...never worn a yellow polish, I don't believe, so I think it would be fun. I'm dying to try out the OPI So-So-Skullicious Mini Set! All of the colors are so adorable! Right now, I entered a giveaway to win this set and hopefully, I win! 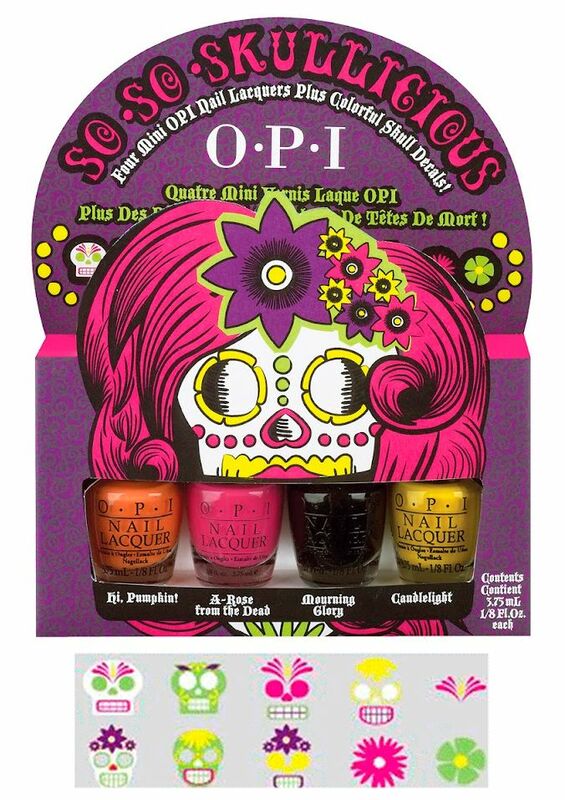 Clearly I'm out of it because I didn't even know OPI had a Halloween collection! I absolutely love it though! 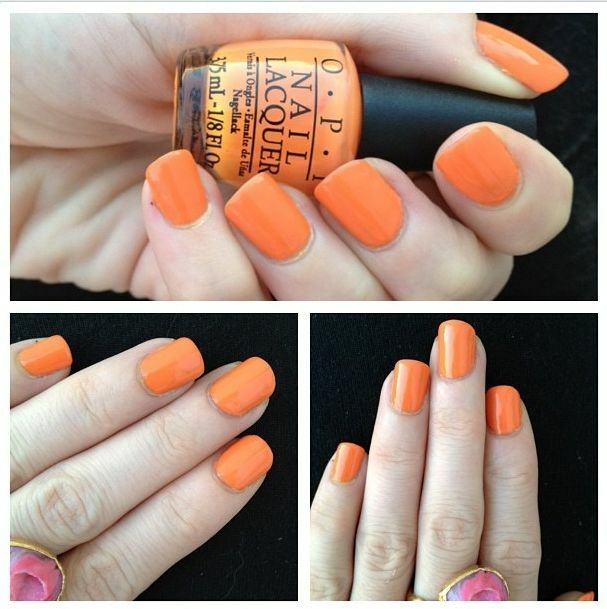 Grab a bottle of white polish, the orange, and the yellow and you could have yourself a fabulous candy corn mani, Erika! LOVE them!! The Yellow is so pretty! amazing!!!! They all look SO good and so perfect for Fall. I am going to dress-up in Day of the Dead wear for Halloween so this is perfect!